The company is located 2.5 kilometres from the airport and 2 kilometres from the city centre. We welcome short term and long term rentals. We have current links to the Tourist Office with direct booking facilities including interstate and regional offices. Choose from a variety of different packages. Cut Price Auto Rentals is a wholly South Australian owned and operated family business. Its operation began in 1980 from 3 motor vehicles to the current 300!We were the major supplier to the Australian Grand Prix for all commercial vehicles for the duration of the Grand Prix in Adelaide. 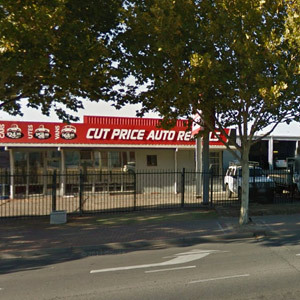 Cut Price car and Truck Rentals Pty Ltd and Cut Price Truck Rentals in Adelaide South Australia is not aligned in any manner with any interstate same name company.